Food processors were once a culinary tool that only the top chefs used and could afford. As word of their convenience and ease of use spread, the common cook began to invest in these handy machines and they went from a tool of only the elite to a common household appliance. Food processors save you a ton of time by doing all your chopping, slicing, grating, pureeing, grinding, shredding and even kneading for you. They also save on your wrists and hands, preventing repetitive motion injuries and aches. With so many options available to the average cook, the decision of which to buy to make sure you get the best food processor can be quite daunting. Here are 10 models to consider when looking for the best food processors for your cooking needs. The main consideration for most cooks when looking to buy the best food processors is budget. Only you know what you can comfortably afford. The next important consideration should be what you need from a food processor. For starters consider if you need a food processor or a citrus juicer, as while similar in some respects, these are two entirely different types of product. Someone who only cooks for two probably doesn’t need one of the larger capacity machines, but if you have a big family, entertain guests often, or are someone who does a lot of canning, you may require more than a small or mid-sized machine. Perhaps brand loyalty is high on your list of considerations. Some cooks have found a company that they feel always produces a quality product and are loathe to stray from their brand of choice. Fortunately there is a wide variety of food processors available from different companies, including names you know and trust. These can range from very affordable to quite expensive, depending on the machine. With a little consideration and some research, you should be able to find the best food processor to fit your cooking needs while still remaining in your budget. 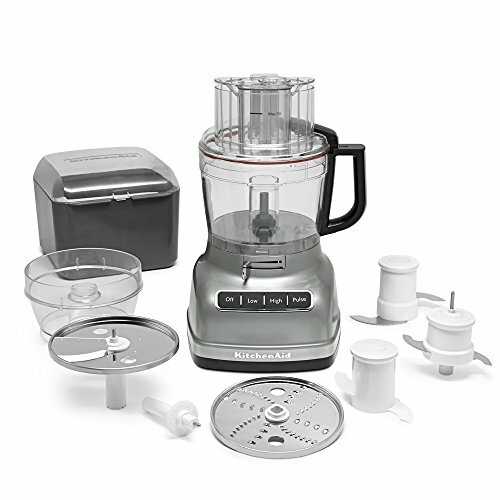 This 10 cup food processor from Hamilton Beach comes with 525 watt power motor, more than enough for all your processing needs. 2 reversible slicing/shredding discs and a stainless steel chopping blade as well the bowl and lid are all dishwasher safe. This Hamilton Beach food processor also comes with 2 speeds and an additional pulsing option which puts you in control of the blades manually. There is an oversized shoot for easy emptying. For peace of mind, this model also comes with a 1 year money back guarantee. 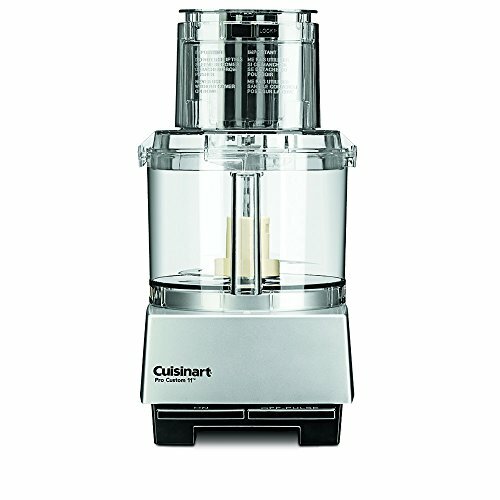 With its 3 cup capacity, this brushed chrome and nickel food processor from Cuisinart is perfect for smaller jobs in the kitchen. The reversible blade chops or grinds and the plastic body is both lightweight and durable. Dishwasher safe bowl and lid, and a spatula are included. This machine includes a simple push button control. Not recommended for grinding beans. 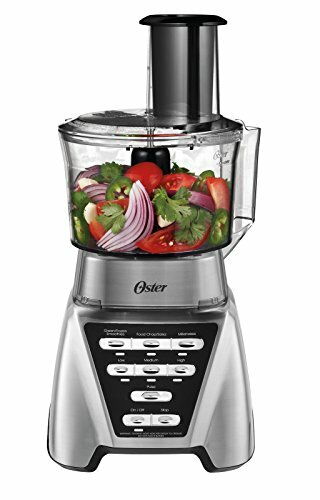 This 2 in 1 blender and food processor from Oster has everything you need for the even the biggest jobs. 7 speeds including 3 pre-programmed settings for the blender and an amazing 1200 watt motor. An extra wide 3.5 inch dual blade system for maximum chopping and grinding. 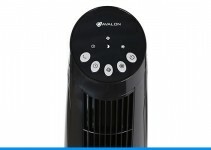 It includes an all metal drive system for durability. Another great feature is the oversized 5 cup food processing bowl as well as a 6 cup glass blender jar. Additionally, there is a stainless steel slicing disk and chopping blade. The Oster Pro 1200 also comes with a 10 year All-Metal-Drive-Warranty. This compact food processor with 4 cup capacity is perfect for your smaller chopping, pureeing, blending, slicing and shredding needs. 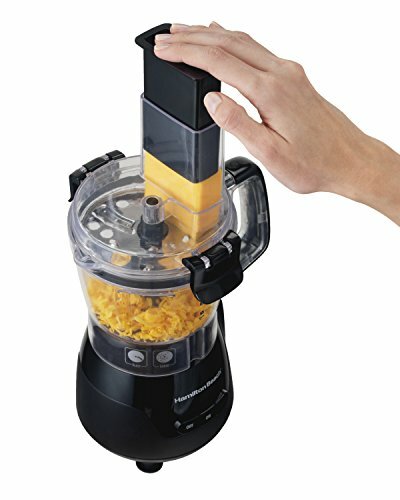 Easy stack and snap assembly with this Hamilton Beach food processor remove the need for twisting and locking. The large chute can fit an entire block of cheese and the stainless steel quad blade is excellent for chopping and thorough blending. 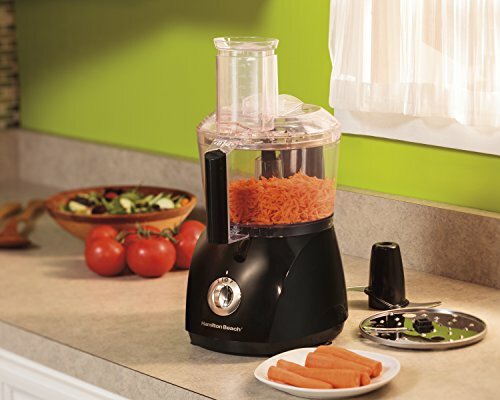 Hamilton Beach are a name that goes hand in hand with some of the best food processors. 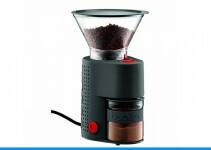 The Hamilton Beach 70510 4 Cup Stack And Snap is no exception to this. Not every cooking job requires a large capacity machine. 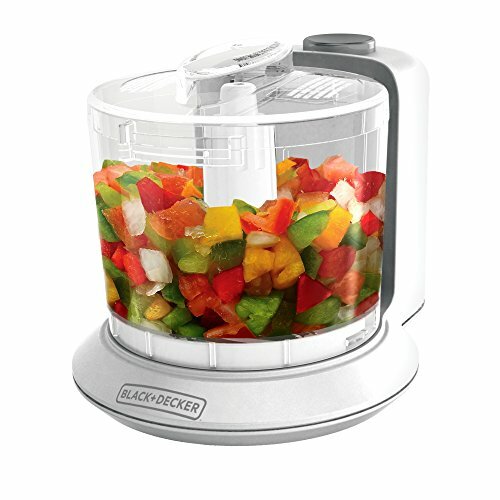 This one-touch Black And Decker food processor is perfect for when you just need a little help around the kitchen. 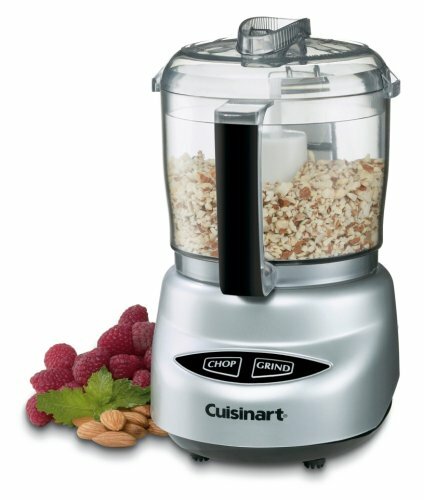 This 1.5 cup machine features a 70 watt motor and stay-sharp bi-level curved blade for precision chopping. It’s the blades on this machine that make it one of the best food processors. One-touch button with pulse control and locking lid for safety. Bowl, lid and blade are dishwater safe and durable. Small size guarantees easy storage and portability. Black And Decker are a name that you associate with some of the best household tools and equipment. The Black And Decker food processor is a perfect example of this, and the HC306 is one of the best food processors you can buy. Available in over a dozen charming colors, the KitchenAid KFC3516IC is compact and lightweight while at the same time perfect for everyday tasks. The dishwasher safe 3.5 cup work bowl features a locking blade, handle and pour spout to easy serving. Drizzle basin included for professional dressings and sauces. 2 speeds and pulse operation for coarse or fine results. It has a compact design and is easy to store. The Cuisinart DLC-8SBCY comes with a New style chopping blade, 3 slicing/shredding discs and spatula. This big boy is perfect for feeding large families or entertaining friends. The extra-large feeding tube accommodates big food chunks without jamming. Perfect for emulsifying, kneading dough, slicing, shredding, mincing garlic and other herbs, and mixing batters. Comes with a five-year full motor warranty and limited 3-year entire unit warranty. This is possibly the best food processor on the list for working with large quantities. With its 1.5 cup capacity, this mini food processor is perfect for all your herb mincing and salsa making needs. 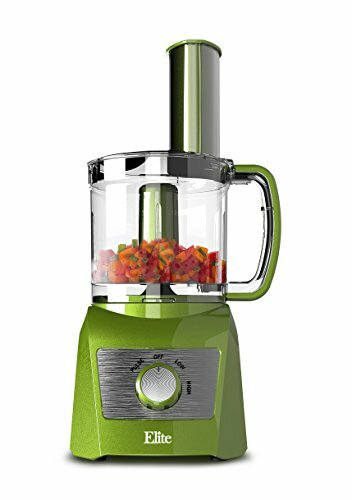 Chopping vegetable/fruit salads, blending baby food, chopping nuts and herbs, making pesto, salsa, guacamole and hummus is a breeze in this dishwasher safe, BPA free food processor. Comes with one-touch pulse control and a stainless steel chopping blade. 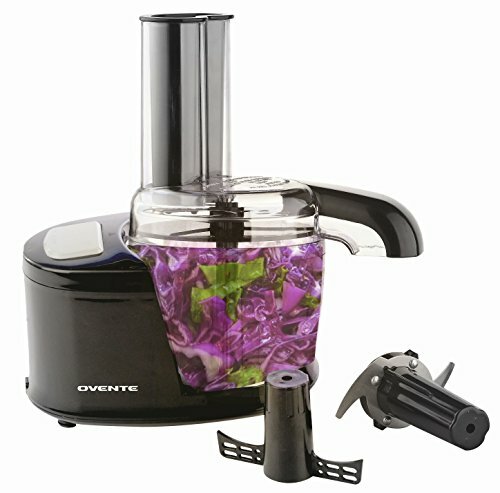 The Ovente mini food processor also comes with a 100W power motor. All the features present in the Ovente mini add up to make this one of the best food processors on the market. 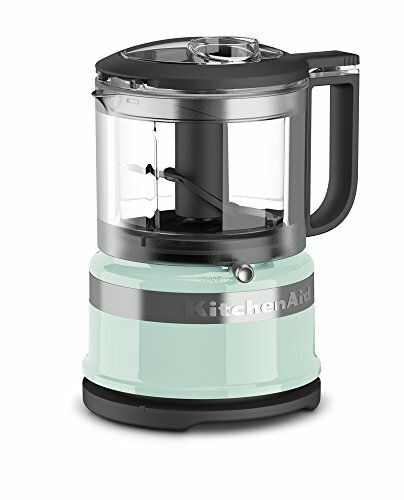 KitchedAid KFP1133CU food processor easily takes a place in our best food processor list. The ExactSlice System allows you to go from thick to thin with the adjustment of an externalized lever and features optimized speed settings. 3-in-1 wide mouth accommodates large foods, even tomatoes, cucumbers and potatoes with ease. Mess free Ultra-tight Seal offers a specially designed locking system with leak resistant ring allows you to fill the chamber to capacity. High, low and pulse speed options. This food processor comes with 11-cup work bowl, 3-cup work bowl, adjustable slicing disc, reversible shredding disc, multipurpose blades for both 11 and 3-cup work bowls, dough blade and storage case. Available in 4 colors, this 3-cup food processor is perfect for medium sized jobs. 2 adjustable speeds with pulse function will meet all your chopping, grinding, mincing, pureeing, slicing and shredding needs. Easy-grip handle for safe use and pouring, this machine comes with dishwasher safe bowl, lid and blades for easy clean up. Large feeding chute to accommodate big cuts of food. This mid-sized food processor packs a big punch. The secret is out. You too can afford one of the best food processors like the famous chefs use, and save time in the process. Be sure to do a little research on your food processing needs and consider how much you want to spend when choosing the best food processor for your kitchen. Ask yourself what you expect from this machine and how often you will use it. My guess is that once you realize how much time and energy you can save by using a food processor, you’ll come to use it on a daily basis. Today, the best food processors are much easier to use and clean than their counterparts of the past. No matter your budget or needs, there is a large variety of food processors on the market from all your favorite kitchen gadget companies. You’ll find the one that is right for you. So get shopping and happy processing!